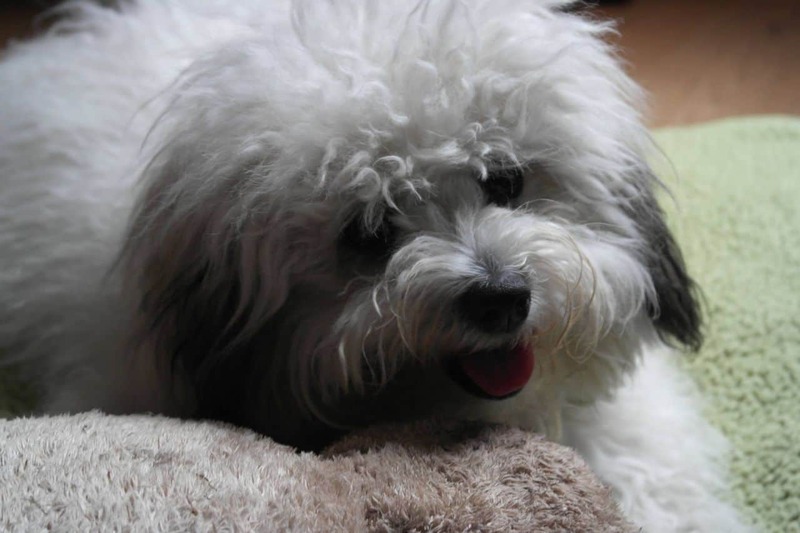 One of the many designer dog breeds is the Biton, having as parents the Coton de Tulear and the Bichon Frise breeds. The traits that have been passed on to this breed are the friendliness, alertness, gentility and its representatives are particularly active. The Bitons have good socialization skills, allowing them to get along very well with other dogs and children, also being very suitable as companion dogs for families. Disregarding the size, they do have some good watchdog skills. Usually the dogs in this breed are solid white which is also the preferred color, but they can also come in apricot or gray at times. The coat is pretty thick, but fluffy and very soft at touch. The Bitons are very pleasant personalities, being very friendly and affectionate, but also pretty energetic. They enjoy activities and to be in the center of attention. They get along well with children and other dogs and they can be considered a gentle breed. The Bitons don’t shed too much in general, but this doesn’t mean that grooming activities are not required. These are recommended in order to maintain the good looks of the coat, as well as its cleanliness. Baths are only required from time to time and it is advisable to use a hypoallergenic soap in order to prevent irritations or occurrence of allergies at skin level.As any other intelligent dog breed, the Bitons are very trainable, by means of a gentle, but firm and consistent hand. The Bitons fit very well in apartments from a lifestyle point of view. They only require moderate physical exercising to burn excess energy. On the overall, the Bitons are dogs that can be suitable for a lot of people, with different lifestyles. Given the low requirements for grooming, high trainability, socializing skills, watchdog abilities and excellent companions for kids and other dogs, it is fair to say that they can adapt to owners with several different personalities. It is now down to each potential owner to assess if these traits are the ones they are actually looking for in a dog. 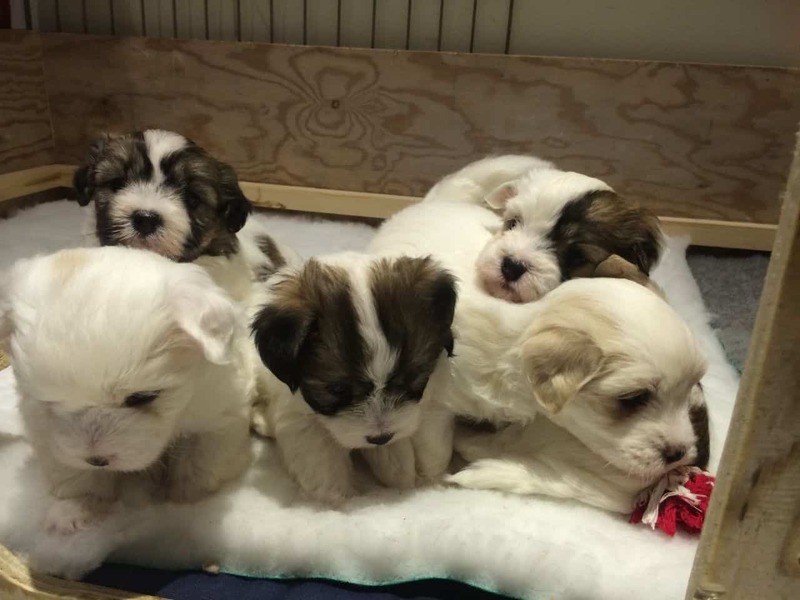 The coat coloring from the Bichon side of the parents is white, the Bichons sometimes having some apricot shades on the ears. On the other hand, the Cotons can come as a single, two or even tri-colored dog, with main colors being either white or black. The coat aspect is curly for Bichons and wavy or even straight for Cotons, but both are soft at touch. Both parent breeds are low shedders and are hypoallergenic, which makes them good choices for people with allergies. Brushing is required from time to time, to prevent formation of mats from the fallen hairs. Professional grooming may be a good choice for these dogs, as this helps ensure healthy and good looking coats for the dogs and les trouble for the owners in the periods when they shed. The Coton de Tulear breed is considered to be rare, although it gained a lot of popularity lately. 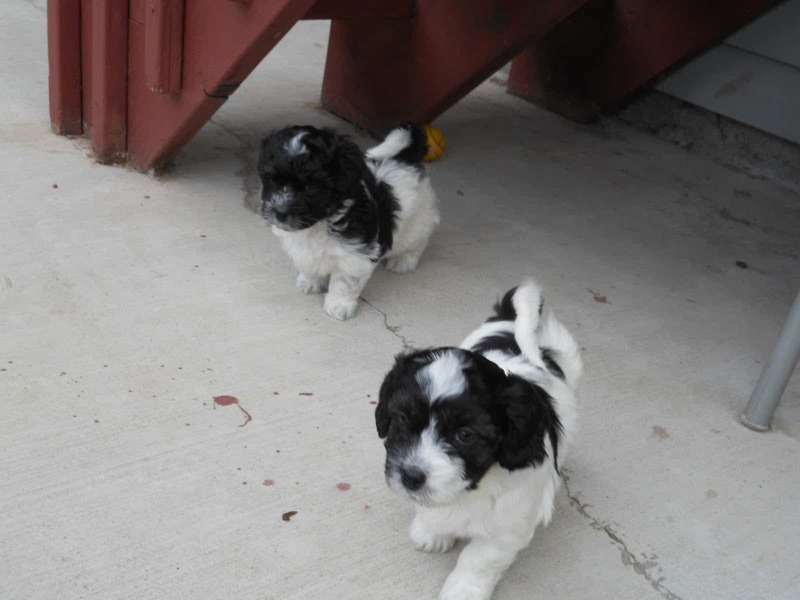 Their pleasant personalities, fun and easy going at the same time makes them good candidates for companionship. Besides this, they are also very adorable and cute in look. With regards to the health, the Bitons do very well, as there are very few genetic issues with the parent breeds. However, there is a concern that the popularity they gained lately may increase the chances of illnesses, so it requires a thorough research before getting such a dog. But, once one gets a Biton, one will enjoy all the adorable qualities and looks of this sweet Biton, along with a good friend and companion.